Even when military personnel are able to prove negligence either in medical treatment or in the case of safety issues, in the United States they are unable to sue for negligence (under a normal duty of care) as a normal citizen would be able to do, due to the legal precedent, called the ‘Feres doctrine’. The Feres doctrine is based on the ruling from three 1950 U.S. Supreme Court cases (and subsequent cases attempting to overturn the Feres doctrine), where the court rules on all three cases together and found that the “the Government is not liable under the Federal Tort Claims Act for injuries to servicemen where the injuries arise out of or are in the course of activity incident to service”. 1) Feres (executrix) v United States – where the estate of 1st Lt. Rudolph J. Feres, who died in a barracks fire at Pine Camp, NY. The case put forward was that there was negligence because the barracks had a defective heating plant, and there was an inadequate fire watch. 2) Jefferson v United States – where Jefferson sued for medical negligence, as 8 months after abdominal surgery to remove his appendix by military medical personnel, a towel 30 inches long and 18 inches wide, marked “Medical Department U.S. Army” was discovered and removed from his stomach. Interestingly the operation to remove his appendix was whilst he was a serving military member, but the operation to remove the towel was done after he had discharged from the Army, and he was suing as a civilian. 3) Griggs (executrix) v United States (where Lt. Colonel Dudley R. Griggs on active (but not combat) duty died whilst in hospital having surgery. In all three cases negligence was proven, and if the military members had been civilians, then either they or their estate would have been awarded damages – however the U.S. Supreme Court found that as they were military personnel, they could not sue for compensation, even when negligence was proven, and the events happened during peacetime and not in a combat zone. 1) That the repeal of Feres would not improve the quality of military medicine – however this seems to be counterintuitive, as more accountability in the medical treatment of soldiers would lead to improvements in the quality of medicine they are exposed to. 2) That the repeal of Feres would not improve the fairness of the compensation system – however currently appeals for claims to the Department of Veterans Affairs take 900 days. If the department was subject to legal challenge it is likely that they would process these in a more timely manner, as without external accountability the department can take as long as it likes to process claims. 3) That the repeal of Feres would undermine the good order and discipline in the Military. It seems that this is actually the main reason to maintain Feres as a policy, as the military claims that litigation is often divisive and disruptive. The argument is that “military effectiveness is based on cohesiveness, trust, obedience, discipline, and putting the interest ahead of the individual”. However, this could be managed in a similar way to that in the corporate world when an employee sues an employer for negligence. I would argue that yes cohesiveness is essential in the military setting, however the demoralisation of a unit as they watch their team member firstly be injured due to negligence and then treated poorly by the system designed to assist them in recovery, is actually more insidious than the threat of being held accountable for negligent actions. Obviously there are different standards in regards to negligence in the military setting. Safety is paramount in training, medical treatment and exercises, however there are at times the need for military personnel to be put in harms way – after all, that is their role in a time of war – however it seems unjust to take the situation of combat and apply it to the need to protect members from dying in a barracks fire or be injured due to medical negligence. The Feres doctrine effectively makes U.S. military service members second class citizens in the eyes of the law, with Alexander Hattimer arguing in 2012, in his review of the Feres Doctrine, in relation to a negligent death suit filed against the Department of Navy in the case of that Navy Corpsman Christopher Purcell, that “the United States military can continue mistreat soldiers and sailors with almost complete immunity from civil suits”. Whilst there can be an argument that during times of war or supreme emergency there may be a basis for the concept that military service members must sacrifice their rights in order to protect their country as a whole, it could be argued that in times of peace the obligations of military service are less onerous, and that the curtailing of the rights of military service personnel is more about economics than about having good order and discipline in the military. The Feres doctrine has been challenged numerous times over the past 60 years, including in numerous cases of gross medical negligence and an attempt to make the US military more accountable for sexual assault (Klay v Panetta) . Most notably in 2002 the US Senate held a hearing regarding the Feres doctrine towards the goal of having legislation to overturn the Feres doctrine, but it was ultimately unsuccessful, and the situation remains currently unchanged – military personnel (and their heirs) are unable to sue for negligence. The U.S. situation regarding the Feres doctrine is in stark contrast to that in the United Kingdom, where in 2013 the UK Supreme Court ruled that the families of 6 military personnel killed in Iraq could sue for negligence and make damages claims under human rights legislation. This landmark ruling declares that the government has a legal duty to protect its soldiers and their human rights, even on the battlefield. The Feres Doctrine has also previously been used to prevent court action against contractors who provide goods and services for the DOD, as they were also effectively covered under the Feres Doctrine through the appeal to the need to maintain national security. However, in January 2015 that immunity from prosecution for contractors was overturned by a ruling from the Supreme Court. The ruling was given without comment or explanation from the Supreme Court, however effectively removes the immunity from prosecution previously granted to private military contracting companies acting on behalf of the Department of Defence. - Harris v KBR - In 2008 Green Beret Staff Sgt. Ryan Maseth died in Iraq due to faulty electrical work, leading to him being electrocuted in the shower. The faulty electrical work was done by the private military contract company (PMC) Kellogg, Brown and Root Inc (KBR). Ryan’s family (in particular his mother Cheryl Harris) were unable to sue the DOD for negligence, so they instead sued KBR who were responsible for the maintenance on the electrical work which subsequently led to his death. Sadly evidence given to the House Oversight Committee in 2008 highlight the fact that both KBR and the Pentagon were aware of the problems with the electrical work in Iraq, and that Staff Sgt. Maseth was not the only electrocution victim, and that the Pentagon and KBR did nothing to rectify these systemic problems, which resulted in several unnecessary deaths. - Metzgar et al v. KBR - This case is a collection of 58 class action and individual suits against KBR and former parent company Halliburton, where it is alleged that KBR and Halliburton acted negligently whilst operating burn pits in Iraq and Afghanistan, resulting in military personnel developing respiratory illnesses, neurological disorders, cancer and skin diseases from living and working near open-air burn pits. PBS has a photo essay on the burn pits which shows in quite stark visual terms the operational activities of the burn pits. - McManaway et al v. KBR - this case regards the exposure of British and American military personnel to the hazardous chemical sodium dichromate at the Qarmat Ali Water Treatment Plant. The interesting thing about this case is that it was a part of the Restore Iraqi Oil (RIO) Contract, which specifically contains provisions that require the government to indemnify KBR for any property damage, injury, or death occurring on the contract and all related legal expenses. This contract has had numerous other concerns raised regarding the dubious nature of its creation and approval. The January 2015 Supreme Court ruling means that KBR (and other PMCs) can now be sued for injury or death as a result of negligence, and are no longer covered under the government indemnity of the Feres Doctrine, or the limits of the Federal Tort Claims Act (FTCA) regarding activities during a time of war by combatants. The Supreme Court ruling is a landmark decision, and a huge step forward in keeping PMCs accountable for their actions. Whilst these rulings specifically only relate to PMCs and not the government itself, given that PMCs now contribute so much in terms of goods and services to US military operations, it effectively means that military personnel injured or killed due to negligence can now sue, if a PMC was involved in that negligence. This ruling is in effect a partial overturning of the Feres Doctrine. It is not hard to imagine that at some time in the future, when enough precedent has been given against PMCs, that similar cases against the government may stand a better chance of challenging the Feres Doctrine. Finally PMCs will now be held accountable for deaths that were directly due to their negligence, and were completely avoidable. If we as a society are going to lose military men and women fighting to maintain our freedom, it should be because of their bravery and courage on the battlefield, not because of the shoddy work practices of a PMC attempting to cut corners in order to make a larger profit. U.S. Supreme Court (1950). "Feres v United States, Jefferson v United States, United States v Griggs." 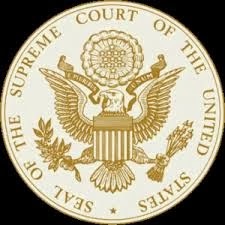 United States Supreme Court(340 U.S. 135 (71 S.Ct. 153, 95 L. Ed. 152)). Uniformed Services University of the Health Sciences (2003). The Feres Doctrine. Uniformed Services University of the Health Sciences. Bethesda, Maryland, Uniformed Services University of the Health Sciences, . Hattimer, A. (2012). Supreme Court denies legal rights of military servicemen and women. Chicago, Fichera & Miller, P.C.,: 1.